UML Timing Diagram as special form of a sequence diagram are used to explore the behaviors of objects throughout a given period of time. 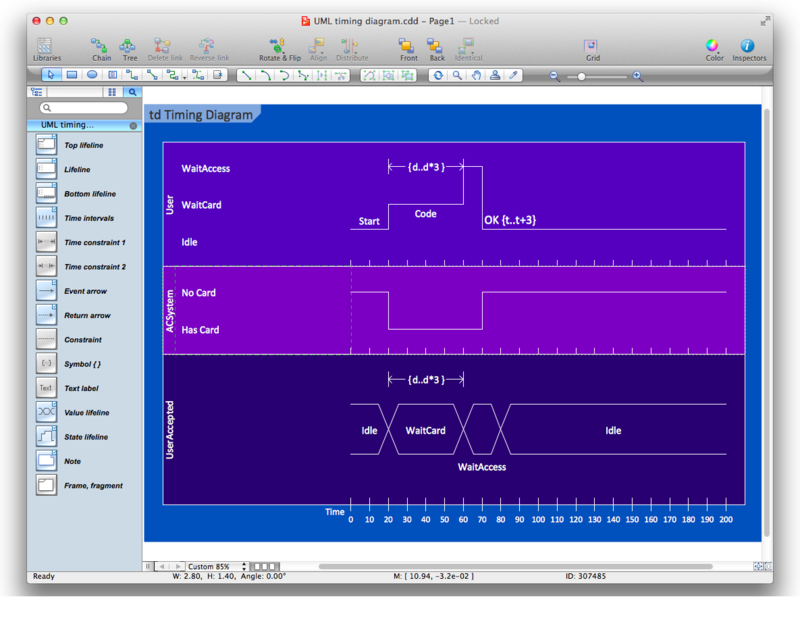 The differences from sequence diagram is the axes are reversed so that the time is increased from left to right and the lifelines are shown in separate compartments arranged vertically. ConceptDraw Rapid UML solution delivers libraries contain pre-designed objects fit UML notation, and ready to draw professional UML Timing Diagram. ConceptDraw DIAGRAM workspace is clear and simple. 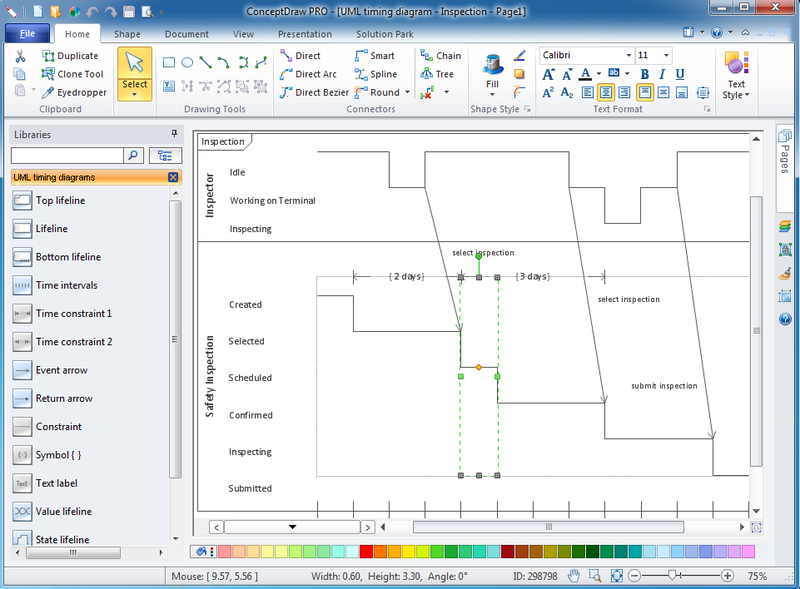 All tools you need for drawing UML Timing Diagram are on hand. 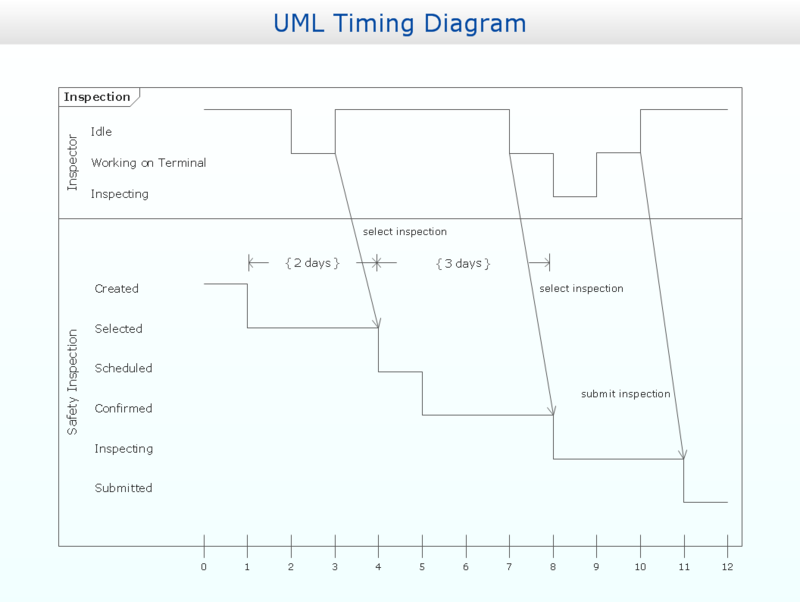 This is an example of UML Timing Diagram for an inspection process. 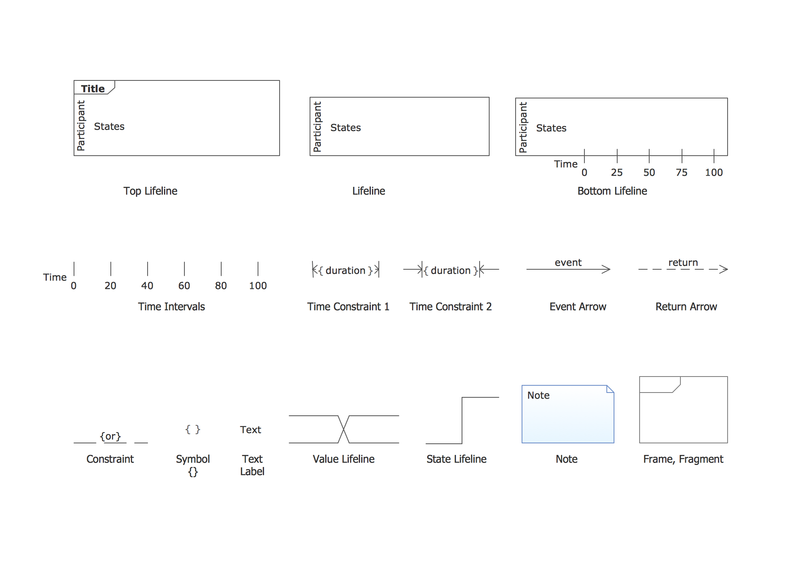 Rapid UML solution provides templates, examples and libraries of stencils for quick and easy drawing UML 2.4 timing diagram. 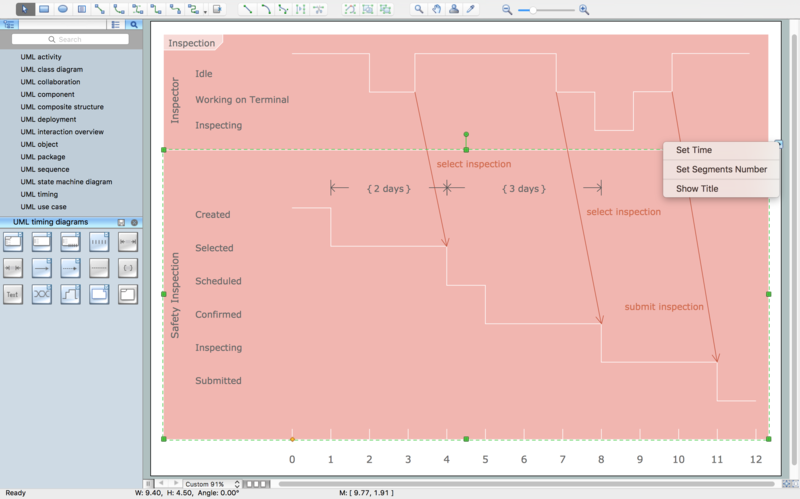 Use ConceptDraw DIAGRAM with UML Timing Diagram templates, samples and stencil library from Rapid UML solution to model how the objects of your system change their state or value over time, and how the timed events interact. UML Timing Diagram as special form of a sequence diagram are used to explore the behaviors of objects throughout a given period of time. 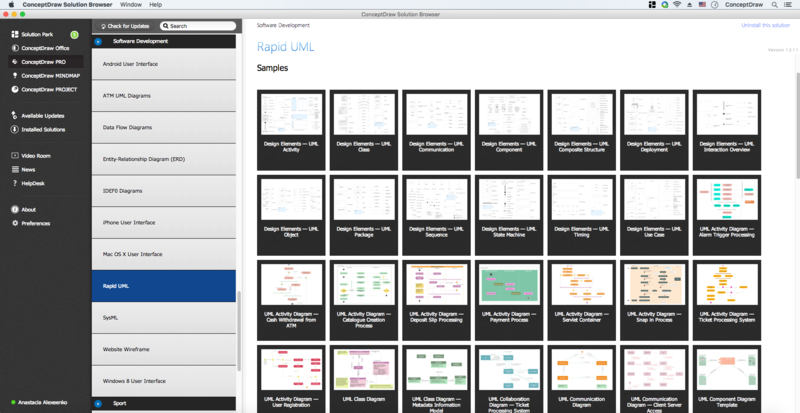 ConceptDraw has 393 vector stencils in the 13 libraries that helps you to start using software for designing your own UML Diagrams. You can use the appropriate stencils of UML notation from UML Timing library.